Thanks for giving us the opportunity to introduce you to the Wildlife Gallery Wholesale Fur Dressing Company. We would like to share the three main areas that set us apart from others in the tanning industry: quality, customer service and consistent turnaround time. We use a syntan process that yields superior results. Our skins won’t deteriorate over time, they re-hydrate extremely quickly, and they have a great stretch. An even more important fact to taxidermists is that our skins won't shrink as they dry, which ensures that detail work will stay in place. Hair and fur colors are not tinted or lightened. The leather has a very pleasing aroma and the chemical makeup of our tan actually acts as a bug repellant. With that being said, it would all be meaningless without our top notch staff. From the receiving department to the shavers, to our management team, we work together towards one common goal: producing "the best taxidermy leather money can buy". The second key ingredient in our business philosophy is customer service. 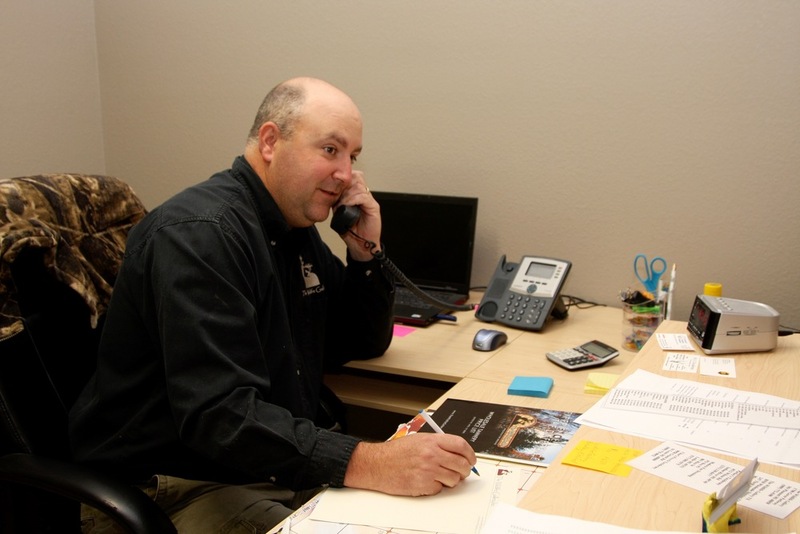 Our customer service team has many years of experience in both tanning and taxidermy and they are eager to communicate with you, our valued customer. We make it a point to call each new customer after they receive their first order. We make sure they are completely satisfied and answer any questions they may have. In addition, we routinely communicate with all of our repeat customers to keep the lines of communication open. We are here to help you. So whether you have a technical tanning question, need to voice a concern, or need to know the shipping status of your finished skins, you will always receive excellent service. The third key ingredient in our business philosophy is turnaround time. Our pledge to our customers has always been to maintain timely and consistent service. Generally, you can expect an average turnaround of 100 days or less. However, during peak seasons, the number of days will increase. Comparatively speaking, we deliver the fastest, most consistent turnaround time in the industry. We hire and train qualified individuals to accommodate our expected growth. Actually, we tend to over-staff a bit to guarantee consistent workflow. From the time your skin enters our door until the time it is finished, we take the utmost care to ensure the highest quality and most consistent return time possible. It all begins in our receiving department, where every hide is processed and recorded the day it arrives. You will receive a confirmation within a few days of your skin’s arrival. After being encoded and separated by species, it enters our well-organized storage facility. If you have a question about the status of your order, we can easily locate and track your skin’s progress. Once your skin enters the tanning process, it will be handled by the best trained team of shavers in the country. Our shaving department consists of four distinct areas of expertise. The North American department handles species such as deer, elk, moose, caribou and the like. 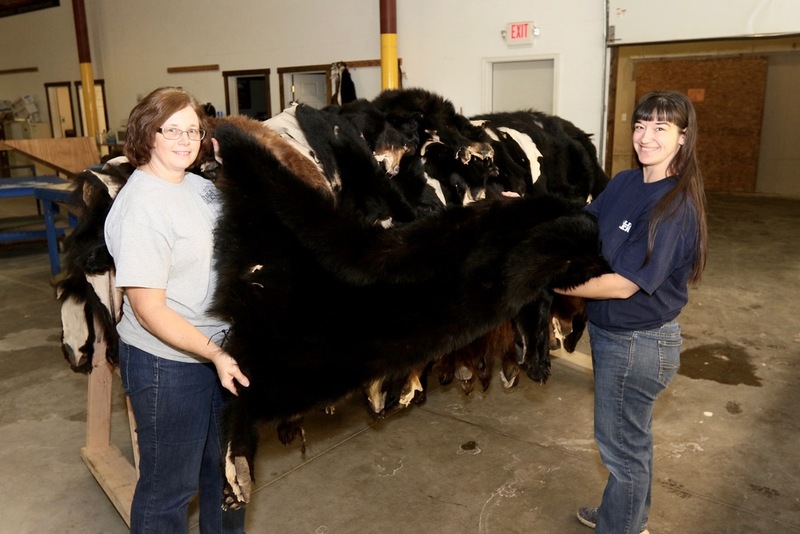 The bear department handles bears, mountain lions and the swine species. All small mammals are handled by our fine fur department. And our African/Exotic department handles your safaris and high dollar items such as bighorn sheep and is typically home to our most experienced and talented shavers. With all of these departments in place, each shaver develops incredible skills and a complete knowledge of the species they work with. What does this mean to the taxidermist? Consistent quality every time no matter the species. Once the shavers have done their jobs, the skins are turned over to our finish department. These people have developed their skills over many years and they know the importance of oiling, drying, breaking, and grooming each skin in a very precise and consistent manner. When they are done, the finished leather is smooth, soft, has a pleasant aroma, and mounts like a dream. Simply said, it’s the best taxidermy leather in the industry. 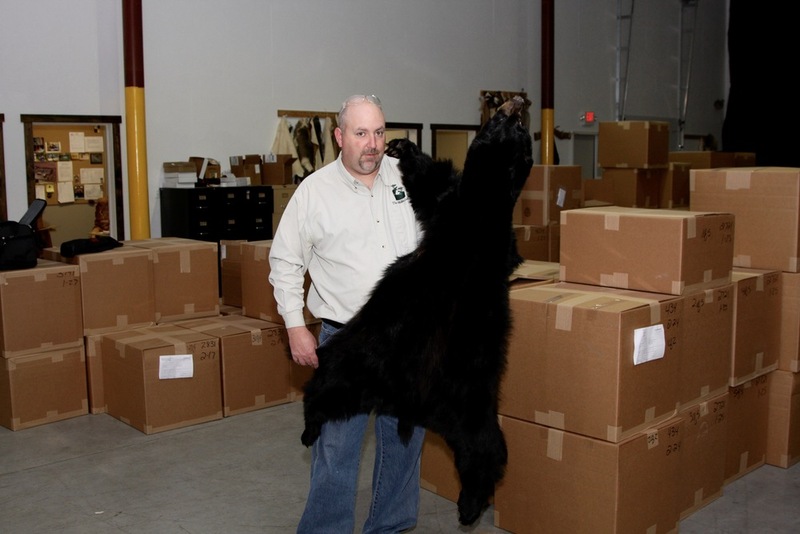 Our quality control department is staffed by National and World Champion taxidermists. They know exactly what taxidermists want in a tanned hide and because they work with our leather on a daily basis, they continually raise the bar on our standard of quality. As an added benefit to our taxidermist customers, we provide several other services within our family of companies, giving us an even greater advantage over our competitors. We like to call it “one stop shopping” for the taxidermist. The Wildlife Gallery Inc. Wholesale Skinning allows us to receive frozen specimens from taxidermists. We do all the fleshing, turning, salting, and drying needed to prepare a skin for the tanning process. This allows taxidermists to produce mounts more quickly and increase their workflow while maintaining quality. Plus, we also offer a convenient Blade Sharpening Service. We’ve worked closely with a leading equipment provider to develop the most precise blade sharpening technology available. And because our shavers love the performance of the blades sharpened by this technology, we wanted to extend this service to you as well. For more information on any of our services, please feel free to contact us at (989) 772-4100 or e-mail us at info@thewildlifegallery.com. We hope you’ve gained some insight as to why we believe The Wildlife Gallery should be your tannery of choice. In fact, we’re so confident in the quality of our services, we challenge you to send us a few pieces to check us out. You need to see the difference for yourself! "Better Tan, Better Service, Better Turnaround. We know your customers will love the results!"